The integration of plant and Earth sciences offers the opportunity to develop and test palaeobotanical monitors and recorders (palaeoproxies) of past atmospheric change that are understood from a mechanistic perspective, with the underpinning responses being identified and understood at the genetic level. 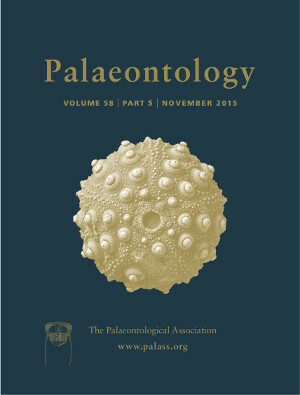 This review highlights how this approach has been used to deliver two distinct palaeoproxies. The first is based on the negative relationship between stomata (breathing pores found on the leaf surface) and atmospheric CO2 concentration; the second is based on tracking chemical changes seen in the composition of pollen and spores to reconstruct changes in the flux of UV‐B radiation on the Earth's surface and from this infer changes in stratospheric processes linked to the eruption and emplacement of Large Igneous Provinces. Here, we highlight the potential of integrating a new rapid, inexpensive chemical analysis technique with existing, robust palynological methods, opening the door to a deeper understanding of past environments via the palaeobiological record. A look to the future suggests a combined solar radiation–CO2 concentration approach could be readily applied across the geological record.